We are available 24 hours a day, 365 days a year for our Disaster Restoration and Cleaning Services in Olympia, WA and the surrounding communities. 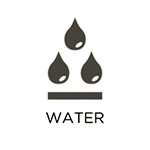 It is difficult to prevent water damage in your home as it is derived from many factors. These can include rain, floods, burst pipes, sewer backups, and more. Excess water can in turn spread quickly through absorbent building materials, which then increases the risk of weakening them, not to mention mold growth. 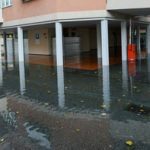 However, RestorationMaster provides water damage restoration services to remove water and moisture from affected homes and businesses in Olympia, WA and the surrounding areas. We will thoroughly dry wet furnishings and materials with our advanced equipment while ensuring the prevention of mold growth in the future. 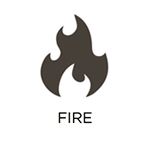 A small fire can turn into a major disaster in a matter of minutes. They can demolish your home and continue to cause damage even after the fire has been extinguished. Soot and other corrosive byproducts left behind are also dangerous, which is why it is important to call RestorationMaster immediately for fire and smoke damage restoration. We service homes and businesses in Olympia, WA and surrounding areas that have been affected by all house and building fires. Our technicians will clean and repair large scale fire damage as we are always available to respond to emergencies. 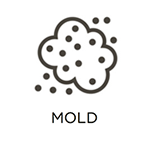 Mold is a very common problem as the combination of moisture and food sources create the perfect condition for mold in your home. A common source for mold is cellulose, which is found in wood, drywall, and other building materials. Therefore, if you do not contact a professional immediately, mold growth can lead to further damage and even health issues in the future. It may be tempting to remove it on your own, but without proper training, mold can be very dangerous to remove. RestorationMaster in turn offers professional mold remediation services to those in Olympia, WA and the surrounding areas that are battling mold growth. We are equipped to handle all sizes of mold damage and will respond immediately to your initial call. When a major accident or violent crime occurs, it can be emotionally difficult to discover the scene and aftermath of the situation. 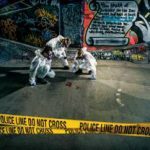 That is why RestorationMaster is here to help with our emergency trauma and crime scene cleanup services in Olympia, WA. 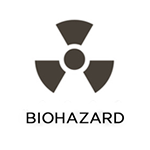 After a serious accident, blood and other biohazard materials that spread infection and disease are usually present. However, professionals are brought in to ensure that the biohazard materials are removed and nothing is left behind. We use powerful cleaning products to clean and sanitize the scene as we respect your privacy and emotions during the process. Our technicians will also work with law enforcement and insurance agents to alleviate this stressful situation as much as possible. When maintaining a clean and healthy home, regular maintenance is required; however, sometimes people do not have time to frequently maintain the cleaning on their homes. There is also the possibility of outside uncontrollable situations that can cause gross filth in your home; this includes a buildup up of grime that can lead to mold growth in the future. Therefore, it is important to keep you and your family safe from these unsanitary living conditions. In the event this does occur, it is imperative to call RestorationMaster for all gross filth cleaning in Olympia, WA. Our technicians are dedicated to effectively cleaning the gross filth in your home for a cleaner and safer living environment. Natural disasters can always occur unexpectedly, causing severe damage to your home and personal belongings. While your household items may hold sentimental or monetary value, finding them damaged can be very disheartening. That is why we are here to help. We offer content cleaning and pack-out services to homes in the Olympia, WA area. Our technicians also work hard to fully restore your damaged items with our content cleaning. In addition, any items that cannot be cleaned on-site will be delivered to our climate-controlled facility. Here they will be cleaned and restored to their original conditions until the repairs on your home or building are complete. Call RestorationMaster to inquire about our content cleaning and pack-out services. Storms occur on a regular basis, but you must be prepared at all times as a thunderstorm can lead to severe damage to your home. Excess rain, hail, and other storms can also cause both exterior and water damage as well as other issues. 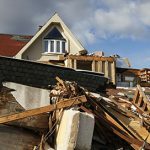 However, RestorationMaster provides storm damage restoration services in Olympia, WA and its surrounding communities to rebuild damaged homes and businesses. Our technicians will assist you throughout the entire restoration. We will also remove all debris that is left on your property from the storm, including glass, tree branches, and other materials. 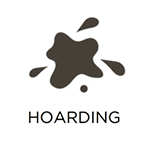 Hoarding has become better understood as a mental disorder in recent years; therefore, this has improved the quality of hoarding cleaning services. 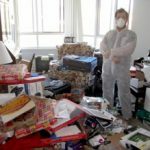 Those that struggle with hoarding have underlying anxiety that makes them unable to dispose of any items that they have collected in their home. As a result, the collection of items is allowed to accumulate in the home which leads to dangerous and unhealthy living conditions. However, RestorationMaster provides hoarding cleaning services in Olympia, WA to remove hoarded items, effectively cleaning and disinfecting the home. Our technicians will work with the affected individual and make sure they are involved in every step of the cleaning process.